The debate over the existence of aliens became a huge thing in the 60s. During that time, literature, documentaries and television programs related to extra terrestrial beings were extremely popular. The American government’s top secret base Area 51 Las Vegas also sparked countless of conspiracy theories that remain unsolved up to this day. As people searched for answers, they dug deeper into human history for proofs. What researchers found was totally unexpected and it changed the way they looked at the universe. The Puma Punku is part of the ruins of an ancient temple complex located in the highlands of Bolivia. There you can find scattered giant blocks that show impressive masonry. They are carved with intricate designs and are over a thousand years old. Considering their age, one cannot help but wonder how ancient people were able to create them with primitive tools. There was no way they could’ve done such remarkable work without the help of advanced technology and engineering techniques which at that time, can only come from aliens. In the middle of the Nazca Desert is etched a series of ancient geoglyphs that feature about 300 different figures including geometric shapes, plants and animals. The Nazca Lines are composed of over 10,000 lines, some of them stretching more than 9 kilometers. They were craftily made by the desert’s ancient inhabitants by removing the desert’s red surface pebbles and uncovering the whitish ground underneath. The lines can only be seen from the air yet they were created between 300 BC to 800 AD, a time when aviation was still non-existent. Well, at least for humans. Modern-day researchers are still baffled by the Stonehenge. For years, they have been trying to find out how the stones were moved to their location and more importantly, how the ancient people knew how to position the rocks in a perfect alignment with the sun and moon. 5,000 years ago, humankind was still oblivious about astronomy. Likewise, they didn’t have the equipment to make the Stonehenge. So how did it come to be? Some people theorize that the wizard Merlin used magic to put the stones in place. However, a more convincing explanation involves the ancient people getting an extra hand from aliens who helped them move the stones and taught them astronomy. Do these proofs sound unconvincing to you? If you are still hungry for answers, the best way to get them is to go out there and hunt them yourself. Take a Las Vegas Area 51 tour with us at PlanetXV and uncover evidence of alien existence in style. 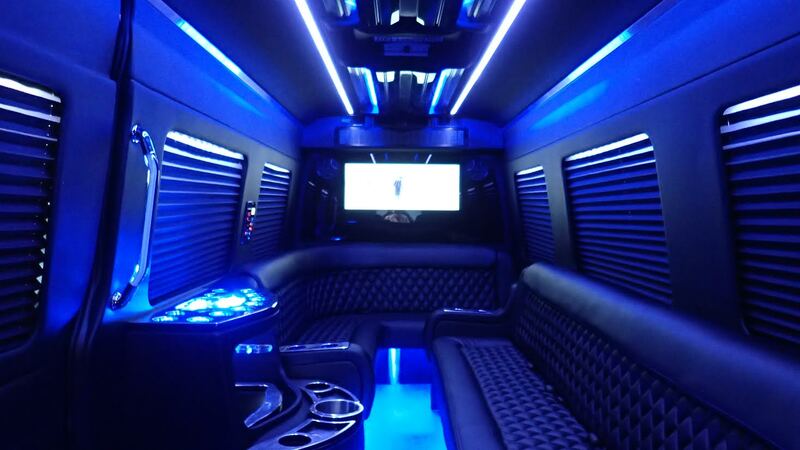 We take our guests to Area 51 from Las Vegas in a luxurious limo equipped with state-of-the-art technology for alien hunting. Our sighting trips take place at night but our guests can effectively monitor the sky with our military grade night vision goggles, high-energy lasers and extreme low light video camera feed. To learn more information about our exciting tours, feel free to contact us.